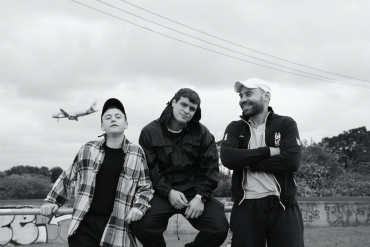 I met DMA’s in Manchester on the last day of their sold out UK tour. Before the actual gig at the Ruby Lounge later in the evening, the Sidney trio played an acoustic set at Manchester’s Pretty Green store, Liam Gallagher’s clothing brand. 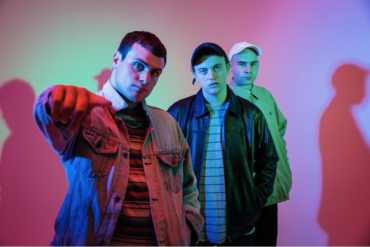 Before their live set, DMA’s went on a bit of a shopping spree at the store – and boy, they could use some new clothes, they all looked like they’d been wearing the same gear for a week. “It’s hard to find a laundrette on the road” Mason later told me. After their acoustic set, I spoke to (Matt) Mason (c.) about their sold out UK tour, their newly released debut album Hills End, being compared to Oasis, and tattoos among other things. A few months ago we met in Berlin. With Hills End just released, what’s it like playing those songs live now that people are more familiar with them? When we released our first EP we did a whole Australian tour and then we went to the States and Europe. Then we released the same EP overseas a year later and toured that again. So we were touring the same set for two years and we were just going crazy. So now that the album is out, we can play different songs live. It’s almost a completely different setlist, which is really good for us. Why is the album titled Hills End? We love driving around in New South Wales in Australia and we were driving past a town called Hill End. Tommy (O’Dell, vocals) and Johnny (Took, guitar) wrote a song, one of the first songs they wrote together, titled Hill End. When Tommy was singing it he just sung Hills End because it just floats better… I don’t really know the story, I wasn’t there. It’s a great song but it’s not on the record. I don’t know. It will probably be on the second one, which is quite confusing. When we came to name the record, we didn’t really know what to call it and our manager suggested Hills End because it’s a really cool name. There’s also an Australian kids novel titled Hills End (by Ivan Southall) about some kids on a school excursion who go inside a cave to look at aboriginal art and then they get lost and they’re trying to get out. Is that the DMA’s story, in a way? Well, we found out about the book after but we read it and I think we can relate to being lost and to indigenous culture. My t-shirt actually has the aboriginal flag on it. You just released an acoustic video for Step Up The Morphine. Will you play it on this tour? I wish we could. When we were rehearsing for this tour we went through every song and played them out live but Step Up The Morphine didn’t really click. It’s a hard song to play live. In that video you just mentioned I play that slide guitar called the Dobro. It’s from 1931 and was made in the Czech republic. The name comes from the Dopyera brothers who invented it – the name is also Czech for good (dobrý). It’s not a blues guitar, it’s a really rare instrument, you don’t see that very often. I really like the new version of So We Know. Why did you chose to re-record the song while Delete is pretty much the same? We were talking to our English record label (Infectious Records) and Youth (Martin Glover), the producer, suggested we re-record one of the songs. So we chose So We Know and decided to make it really big at the end. That’s the only song on the record that was done in a studio – and that was only the drums and some of the guitars. The rest of it was done in Youth’s house. We had a good time there but despite that we really like producing things ourselves. You had a lot of songs to chose from when you lay down the album. how did you decide which songs would make the album and which songs wouldn’t? We had about a 100 and a shortlist of 40. Our Australian label, I Oh You, helped picking the songs that would make the album. I think it helped to get an outside opinion from someone who wasn’t involved in the song writing. We’re attached to the songs, we got a different relationship with the music. Will we ever get to hear the songs that didn’t make the album? Oh yeah, definitely. We’re gonna release a lot of music in the next few years, you’ll hear it. 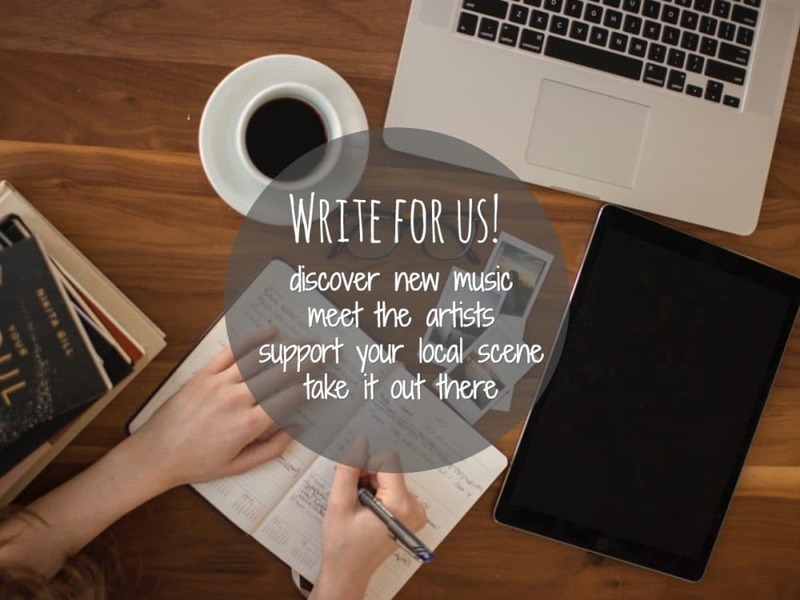 Do you still write as many new songs now that you spend a lot of time away from home? I think I write more, to be honest. At home I have my piano but when I’m touring, I’m standing there with an electric guitar every day and I just fiddle around. Johnny writes most of the lyrics. When I write songs I just come up with random words to get the melody and the vibe of the songs before you write the actual lyrics. Sometimes those random things are pretty good. When I started writing Delete, it was just gibberish and it turned out to be really good so we kept it. So what’s Delete about, is it about love in the time of social media, like deleting an ex-lover from your friends list? That’s what it is about, yeah. I wrote it when I was 18, that’s like 8 years ago now. So, it’s a little bit corny, I wouldn’t write those lyrics now. I broke up with a girlfriend I had and I unfollowed her on the internet. I think a lot of people can relate to that. When a relationship falls apart you don’t wanna see your ex on the internet all the time. You recorded most of your music at Johnny’s house. Is that what Feels Like 37 refers to, was that his flat number? Exactly, yeah. You know, that just means it feels like home. In fact, he got evicted after we got back from Europe because of the constant noise complaints we got from the neighbours. But that’s okay we’ll be overseas until December. I moved out of my house as well which was right across the street. So when Johnny got kicked out I took a screwdriver and removed that 37 so maybe when we’ll have a studio in the future I’ll put it on the door. Your press release says that you never even considered playing live when you started making music together. How do you like playing live now that you’ve played across the globe? I love it! I’ve been playing in bands since I was 11 so I’ve always played live. It was a bit of a low for me when I wasn’t in a band. I really enjoy playing live and turning up the amp really loud. I play banjo, mandolin and the piano but I love electric guitar the most. You’re at the end of a sold out UK tour. How does that make you feel? What I like about sold out shows is that you know it’s gonna be good. We’ve done so many gigs before and you might get a 100 presales and hope that another 100 will buy tickets on the door. When we play in England it’s pretty consistent, we get about the same amount of fans everywhere, it’s the same in Australia. But in the States it will be different in every city because the local radios matter so much. Your music is often compared to UK guitar music, specifically Oasis. Does Manchester have a special meaning to you musically and/or culturally? You know, I didn’t really grow up listening to English bands and I still don’t, that’s more Tommy’s thing. I listen to a lot of punk and Blue Grass music… I like Pavement and Sonic Youth among others. I think the comparison to Oasis and British music is coming from Tommy’s voice. When I write the songs I sing in an American accent and you wouldn’t compare that to here. But as soon as Tommy sings it sounds like it’s from this part of the world. Are you tired of getting compared to Oasis? I’m not getting tired, I completely get it that people would compare us to them. I play most of the guitars on the record and I come from a completely different influence. I don’t get sick of being compared to them but I find it strange that none of my other influences are ever mentioned. When we had our second pint (we bonded over a shared love for Czech beer) Mason showed me some of his tattoos, most of which he’d done himself. “I was watching this documentary about Russian prison tattoos, The Mark of Cain. They had made their own needles out of a guitar string and a clockwork razor. So I went online and made my own.” He showed me a new one depicting an Ibis on his left hand “I did this one in the car on the way here”. The Ibis is apparently important to the band as a drawing of it is also featured on their debut EP’s artwork “Everybody hates them in Australia because they’re just everywhere, eating out of the trash cans and stuff”. 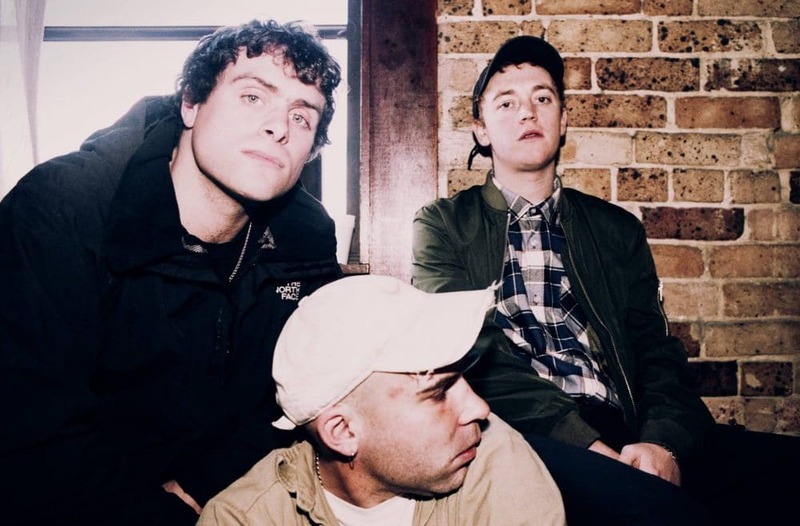 Another thing that had always struck me about DMA’s was their straight-outta-Sidney clothing style “It’s very normal in Australia, we don’t stand out at all at home” Mason claims. 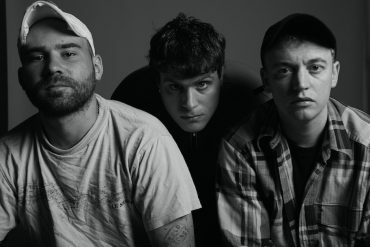 DMA’s will play the US, Australia and Europe this spring in support of Hills End. Dates are below.